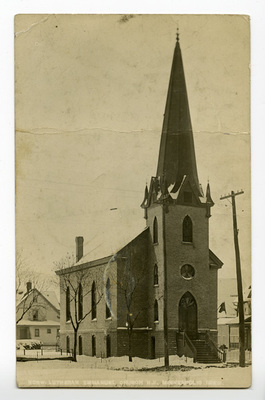 "Immanuel Lutheran Church, Minneapolis, Minnesota"
External view of Immanuel Lutheran Church from side and front. Front labeled, "Norw. Lutheran Immanuel Church N.?. Minneapolis ?"